The late Carl Ervin, with his daughter Karlee and wife Penny, at his Seattle U. Hall of Fame induction ceremony. Over the years, I tried to argue with Erv that it was quite the other way around. But he loved to debate, and I figured that one day we’d be rocking on a porch having the same discussion over and over again. But that’s not happening. Erv, one of the greatest high-school basketball players I’ve ever seen, lost a battle on Saturday with pancreatic cancer that I didn’t even know he was waging. Which is funny to say because we talked on the phone. And even at the beginning of the year he was lobbying me to attend the banner-hanging and jersey retirement ceremony at our alma mater. This also strikes me as funny. Erv was talking about Cleveland going unbeaten and winning the Washington state AA title in 1975, then moving up to AAA and winning the state title in 1976. He was talking about the team at our other alma mater, Asa Mercer Junior High, which like Cleveland was in Seattle’s Beacon Hill neighborhood, where I grew up. That team included not only Erv, Jawann Oldham and James Woods, the trio that was the core of the high-school team, but guys like Levell Standifer and Fred Thompson, who were the core of the rivals at Franklin High School. Mike Bethea, the legendary coach at Rainier Beach, also was there. And of course the Mustangs went 88-0 during Erv’s tenure. My “part” in all of this was first as editor of the Cleveland Journal, the student newspaper, and later as contributor to a weekly called the Beacon Hill News. I’d played rec ball with Erv and all the guys, including Clint Richardson, who averaged 34.1 points as a senior for O’Dea and nearly singlehandedly took down Cleveland in an epic, double-overtime district-championship matchup. He also played with Erv and Oldham at Seattle University, then won an NBA championship ring with the Philadelphia 76ers. 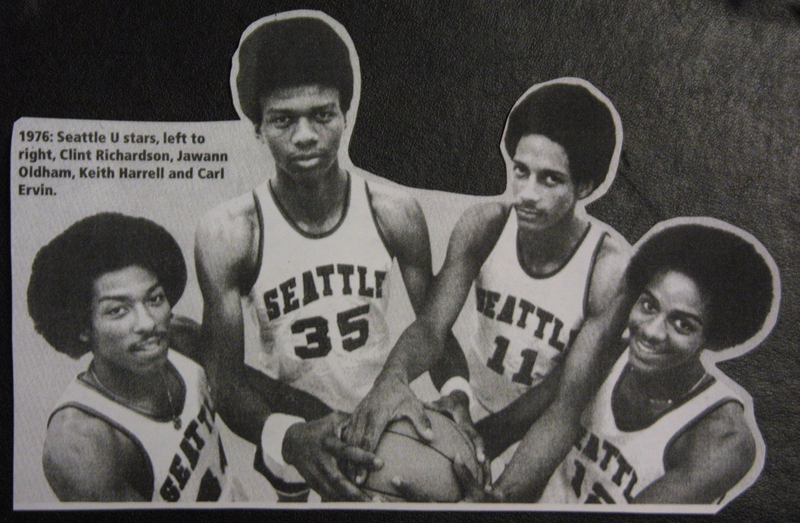 Back then, there also were the likes of James Edwards, the Roosevelt center who played at Washington and won three rings during a 19-year pro career, and the late Keith Harrell (rest his soul), the leader of the 1974 Garfield “Superdogs,” who, like Erv, Oldham, Richardson and, ahem, me, went to Seattle U. These were my generation’s version of the hoops-talent explosion that has graced the Seattle area the past decade-plus. And, bless them, they were the ones who set me on the realistic path, away from day dreams of being a 6-foot, Asian point guard in the “league,” to being a chronicler of basketball, which I still am, of course. In my infinite creativity, I dubbed Erv “Cool,” as in Cool Carl, as in Cool and the Gang (after Kool and the Gang, one of the party bands of our time; you know, “Celebration,” and all). Oldham would go on to a distinguished NBA career and Woods had a nice career at Washington, but Erv definitely was Cleveland’s ringleader. I saw Richardson, of course, at O’Dea, and watched Pearl Washington drop 58 points, without taking a jump shot, for Boy’s High in Brooklyn. And I watched the likes of Kevin Durant during evaluation tournaments in Las Vegas. As a high-school marvel, Erv was as good as all of them. He was a magician with the basketball, a cat we used to call “Voodoo” or “Black Magic.” You have to consider the era. Maybe guys today are doing what Erv used to do with the ball, but Erv was doing his thing almost 40 years ago. l-r: Clint Richardson, Jawann Oldham, Keith Harrell and Carl Ervin. All of us Cleveland Eagles remember Erv coming off that Woods screen and sinking that beautiful, rainbow jumper to beat the buzzer and Lincoln of Tacoma in the 1976 title game like it was 10 minutes ago. My favorite play of his occurred his sophomore season, which back then was the first year of high school. The Eagles had been demolished in a super-hyped matchup with the “Superdogs” at our joint. Erv and his teammates fell behind 19-0 in the first quarter, if I remember correctly. The rematch at Garfield was a doozy — a tight, run-and-gun affair with both teams either breaking or approaching 80 points. In the middle of it, Erv, on the break, threw a bounce pass between the legs of a Garfield defender that had such spin, it leapt off the floor and into the hands of a teammate for a layup. A big part of me went to Seattle University so I could continue to follow my “boys,” including Erv, whom I knew likely was to verbal there. I was placed solidly in that path after the Eagles pulled off their historic, state-title double and the Beacon Hill News asked me to write them a story about the team. It was my first front-page story in a non-student newspaper. Convinced I had proven myself, I knocked on the News’ door and informed the owner, the late Jim Flaherty, that I was free to work for him full time. His newspaper didn’t employ writers, beside himself, Flaherty informed me. But I was determined, and kept going back, the edition with my front-page story always folded underneath an arm. Finally, Flaherty’s son, John, either worn down or amused, told me the place could use someone to sweep the floors and clean the bathrooms. I accepted immediately. I was in the newspaper business! I even painted the building that summer. But I worked fast and, during the “extra” time, learned to set type, run a line camera, sell ads and, of course, write stories. And I never stopped. The Beacon Hill News bought the Capitol Hill Times, so I started covering Seattle U. basketball for them as well as the school newspaper. When Erv was drafted by the Sonics in the seventh round, I covered his training camp for a weekly publication called The Argus, now defunct. I never got to write about Erv for the Seattle Times, but I did pen stories about Oldham and Richardson, and I kept in touch with Erv over the years. I hope you all know I’m not trying to turn the death of the late, great point guard about myself. I couldn’t have written anything better about Erv’s greatness as a person than the beautifully crafted column by Jerry Brewer in The Seattle Times. My point is, so much of life turns on such seemingly small and insignificant things. If Erv had not been so inspiring and so full of goodness, maybe I never would have become a sportswriter. Truth be known, my favorite Carl Ervin moment was years ago, when he called me to apologize for a (different) struggle I had not known he was waging. He vowed during that conversation to stay virtuous; he said it was important that I heard it all from him. Next thing I knew, he was coaching, running a very successful pro-am summer league and doing work all over the community. So when I had to read about Erv’s death, my first instinct honestly wasn’t to wish he had told me about his illness. I had a chance a few months back to honor him with my presence, but I hadn’t been paying attention – to life and therefore him. And now that time has passed. There are so many moments and people that we all really ought to take time on occasion to cherish. It takes only a little bit of focus. I suppose that is the last bit of wisdom that Carl Ervin dropped on me. I wish I could thank him for it. 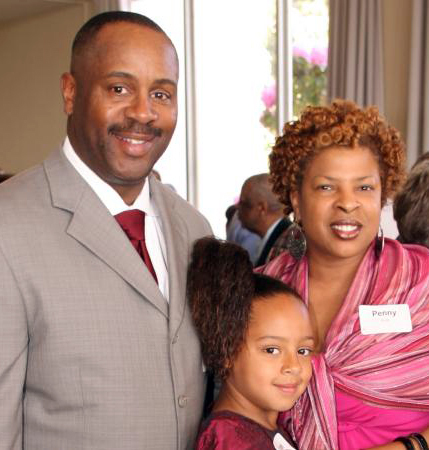 A public viewing will be held Saturday, 11 a.m. to 5 p.m., at the Bonney-Watson Funeral Home on Capitol Hill, 1732 Broadway. A memorial service will be held at Mount Zion Baptist Church, 1634 19th Ave., Seattle, at 11 a.m. on July 9. Carl was my brother in law, and I thank you for painting such a beautiful picture of him. He was and will always be one of the most amazing and wonderful men I will ever know. I am going to miss him terribly. Thank you. Alena, we all were blessed to have him in our lives. Very nice Glenn. Carl was such a humble person. I think we are all better people for having known him. I will forever remember his smile and kind words for all. He was an inspirational person. Truly a great man with a warm/kind heart.